This week Hootsuite made a pretty significant announcement confirming their move into the employee advocacy space with the launch of their new solution - Amplify. I've blogged extensively about employee advocacy for many years and I've been in the driving seat when it comes to launching such a program within a complex multinational organisation. 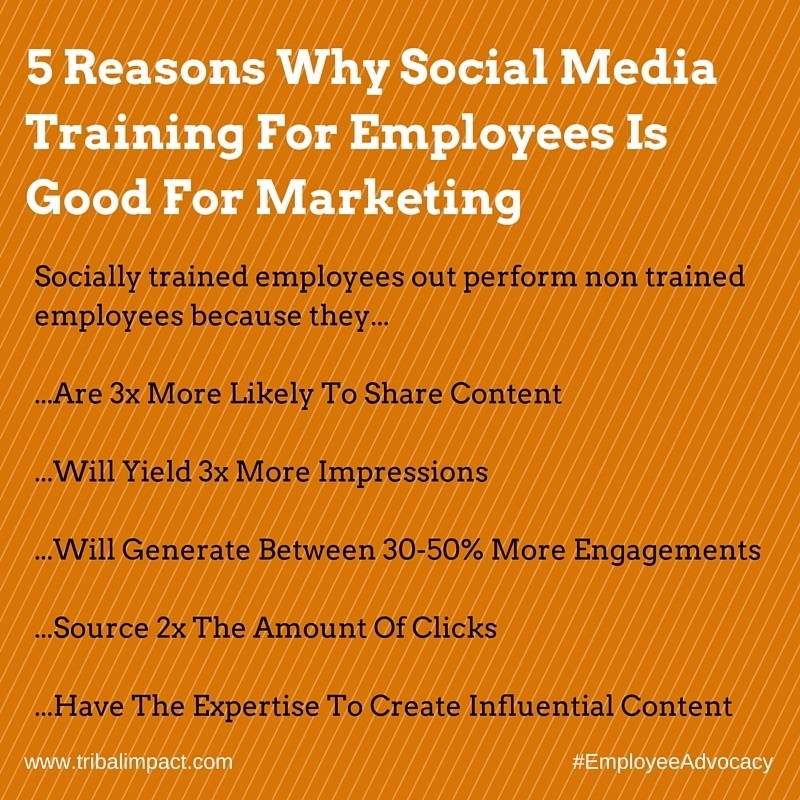 As a practitioner in this space, I can honestly say that the tool alone will limit the potential success that can be achieved through employee advocacy and training employees to use social media training and a social media policy. 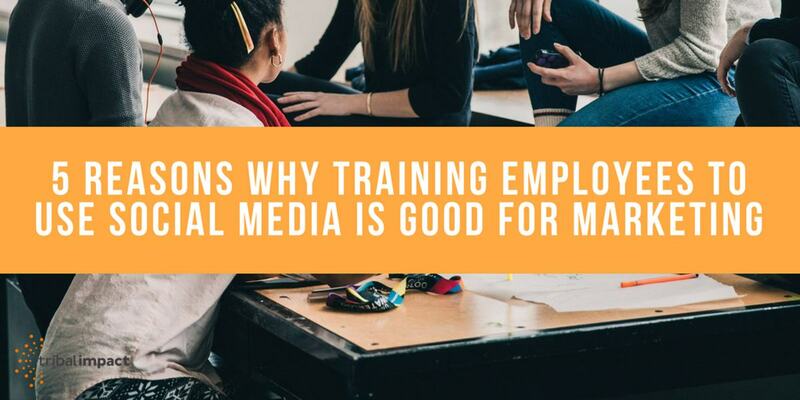 Training employees on the responsible use of social media protects the brand from employees sharing information (often unintentionally) that they shouldn't have done about their work or the company. At the same time, it can massively impact the brand in a positive way. If employees are able to build their personal brand online, they can establish themselves as thought leaders in a niche area that can help influence and educate potential buyers. When buyers find an "expert" or "people like themselves" more credible than the brand CEO it's time to rethink the brand social media strategy. By enabling employees to become 'social' with their own personal brand, you create a wealth of opportunities that you could only dream of with your brand channels. I know because I've seen the impact. In my experience, when you educate employees on the importance of having a personal brand and building their network first, they are 3x more likely to start sharing content than those that haven't been given that context. By the time you introduce social sharing into the training model, employees will understand how this will impact their profile. They will have done the basic ‘profile’ updates. They’re in a place where they’re READY to start sharing and they know what to share, how often and to which channel. They are confident. Typically a trained employee will yield 3x more social impressions per share than a non-trained employee and this is mainly because they have invested time in building their network first. I always emphasise the importance of building and nurturing a strong network around your personal brand. Once you’ve achieved this you’re ready to start sharing. For example, it makes no sense to jump into sharing content if you’re only connected to 20 people on LinkedIn. Naturally, if you’re gaining more impressions you will attract more engagements including likes, comments and shares. I’ve found that trained employees will generate anywhere between 30-50% more engagements than non-trained employees and this is because they know what kind of content works well on which network. They know how to encourage engagement. Most employee advocacy tools will often have some kind of gamification mechanism built-in. I suggest not incentivising on “number of shares” but “number of engagements” since really encourages your employees not to spam their network but actually engage their network. Marketing will understand the importance of this one because in the paid media world, every click costs €€€. In my experience, employees who share content generated 50% more clicks than when I shared the same piece of content via branded social channels. WOW! Employees who were social media trained generated 2x the amount of clicks than employees who weren’t trained. This has a lot to do with making sure that the content is relevant for the employee’s personal brand and that it’s good content. Well written, full of useful insights and easy to read. Poor content won’t fly with your employees…or on any social channel for that matter. By the way, it doesn’t always have to be branded content. Best-in-class community managers will follow the 4-1-1 rule. Four pieces of non-branded content to one piece of non-sales branded content and one piece of direct ‘sales’ content. Finally, recognise thought leadership potential within your business. On average 26% of the B2B marketing budget is set aside to create content (blog posts, ebooks, white papers etc) and yet research shows that buyers are becoming less trusting of brand content and more trusting of content from peers and experts. Some of your employees may express an interest in becoming online experts. Be sure to invest in them – fast track them through your social education program. Pull them into your monthly social listening meetings and discuss topics that are trending. Feed them social trigger alerts that you’ve received. Enable them to create content and amplify that content via the brand channels. First, Marketing should recognise the incredibly powerful potential that a community of employees will bring when they start advocating on behalf of the brand by engaging employees to use social media training. Second, the Marketing department is normally accountable for the online brand. Community managers know what kind of content gets the best engagement. They know how often to post and the most appropriate time to publish. This "community" intelligence is useful when training employees to build their own brand online.